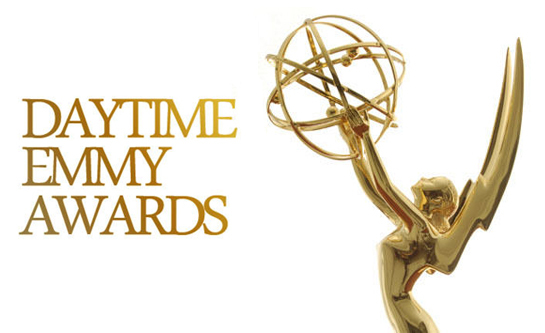 The 43rd Annual Daytime Emmy Award nominations were announced this past Thursday on CBS Daytime’s “The Talk.” The ceremony, which is set to take place on Sunday, May 1st, honors the daytime television genre, from the entertainment morning talk and news programs, and more primarily, the daytime soap genre. CBS leads the nominations with a total of 77, and “The Young and the Restless” was the top nominated show with 27. TV Source Magazine’s “SourceRyan” joined us for our podcast to discuss the nominations. We discussed who had the best year, who would we like to take home the gold, and more. Plus, find out our reaction to the news that this year’s ceremony will not be televised. What happened? Why did it happen? Also, Maura West (Ava Jerome, “General Hospital”) joined us for a few minutes as we celebrated her nomination in the “Outstanding Lead Actress in a Drama Series” category! We chatted with her about her fantastic year last year, and how she was notified of her nomination. Both the Creative Arts Emmy Awards (Friday, April 29th) and the Daytime Emmy Awards will be held at the Westin Bonaventure Hotel in Los Angeles, CA.